Marketing methods have changed a lot in the past decade. 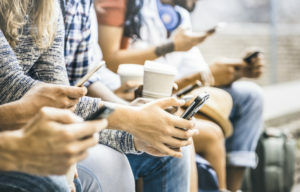 The vast majority of consumers now own a smartphone, have internet access, and use search algorithms to find the products and services they want. Healthcare providers can adapt their marketing strategies to promote their brand, acquire new customers, and keep customers engaged using the insights data-driven marketing provides. While companies once primarily relied on outbound marketing tactics (advertisements, mailing lists, etc.) to capture attention, today most people prefer seeking information themselves. They will look up reviews, testimonials, prices, and other available information to make informed decisions. It follows, then, that healthcare organizations must pay close attention to their online presence and reputation. This shift in marketing gives healthcare organizations an opportunity to engage with and learn more about their patients and potential customers via healthcare data analytics. Data has become the new object of value for modern marketing. The more a healthcare provider knows about its current and potential customers, the better equipped it is to reach them. For instance, Natural Language Processing (NLP) technology collects relevant data from multiple text-based online sources and analyzes it to find keywords and phrases. For healthcare marketers, NLP can hone in on patient reviews and comments from social media sites and post-care surveys. In doing so, organizations can gain valuable insights into patient experiences and industry trends, giving them the information to make important operational changes. Improving patient experience is just one benefit of incorporating a data-driven marketing strategy. Healthcare data analytics also helps marketers narrow the field of potential customers by geography, preferences, demographics, and other factors. Tightening this scope saves healthcare providers time and money as marketing resources only go where they will be most effective. 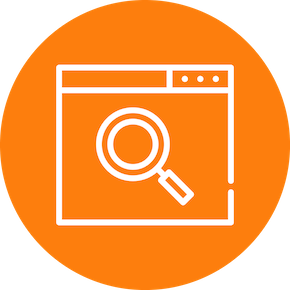 For instance, providers with physical locations can use data analytics to target keywords that enhance a localized search engine optimization (SEO) campaign. A powerful healthcare marketing strategy is not only concerned with finding new customers. Patient engagement is just as important a task. Keeping patients engaged boosts brand loyalty, increases word-of-mouth, and helps providers maintain their reputation. Marketers can use healthcare data analytics to engage patients both online and offline. The insights gathered through NLP and other data-driven tools can help healthcare providers learn their customers’ habits to increase engagement. For example, how long do patients stay on the company’s website? Do they struggle to find certain information? Do they reply to emails and fill out surveys or review forms? Every patient will interact differently with these things, but data analytics helps pinpoint areas where engagement is lacking and could be improved. For instance, a website might want to add a chatbot or restructure its layout so that useful links are more easily found and clicked. Of course, providers also want to keep patients engaged offline. Using healthcare data analytics, marketers can more easily determine the effectiveness of mailing list and phone call campaigns. By optimizing offline marketing approaches, healthcare providers can increase engagement and receive more feedback. Approximately 97% of consumers consult online reviews before making a decision. This means that online brand reputation management is more important than ever for all businesses. While healthcare data analytics cannot magically make negative reviews disappear, it can help healthcare providers craft optimal, timely responses to all reviews, good or bad. Good information also allows providers to improve their messaging and operation. Brand reputation management programs allow healthcare marketers to view trends and key terms gathered from reviews and comments across the web. This increased awareness helps providers respond to all reviews more quickly, increasing engagement and addressing important and common concerns. These tools may also give providers insight into how their reputation compares with competitors. The benefits of data analytics in healthcare cannot be overstated. While internet access and social media have added complexity to the marketing world, they have also created opportunities for healthcare providers to improve their patients’ lives, engage their customers, and improve their reputation. Providers must embrace and utilize this technology to develop a truly data-driven marketing strategy. If you are a healthcare marketer, you know that social media can be a powerful marketing tool for your doctors. Here’s how social media can help healthcare providers. If you are a healthcare marketer or practice manager, you know that social media can be a powerful marketing tool for your doctors. It allows you to get real-time feedback on your level of care thanks to reviews, as well as the ability to directly interact with your patients. Before you implement a social media strategy for your healthcare facility, make sure you are following industry best practices by avoiding violations of the Health Insurance Portability and Accountability Act (HIPAA) or a potential public relations crises. This will prevent a ton of legal or PR headaches in the future. Follow these rules that all healthcare professionals need to consider when using social media. This may seem basic, but you would be surprised at how difficult this can be–and not just for people managing your social media. Most of your staff will know or be highly trained to avoid sharing patient information, but that doesn’t mean patients won’t accidentally share identifying information. And you’re on the hook to remove it. Politely remind the patient removing protected healthcare information (PHI) is in their best interest – not just yours. If it is a negative review, the conversation may need to go offline in order to best resolve the issue. One of the worst things a healthcare provider can do on social media is offer medical advice. Sadly, this happens more often than you think. We recommend having responses drafted up for some of the most common questions your providers get that help users get in contact with the right department contact who can best answer their question instead of giving medical assistance over social media. This ensures patients can’t get upset with the advice given and increases the likelihood they contact your office or facility for an appointment. Make sure you include the provider’s name and phone number for who the patient should get in contact with. This doesn’t mean a physician can’t post information about current events in healthcare or your own medical content (in fact, we encourage that). Just don’t reply to a specific question with advice. Negative reviews are going to happen, and when they do, you can only control your reaction. It’s easy to get emotionally invested in what people are saying about your practice online, but negative reactions will only sabotage your trust with your patients. 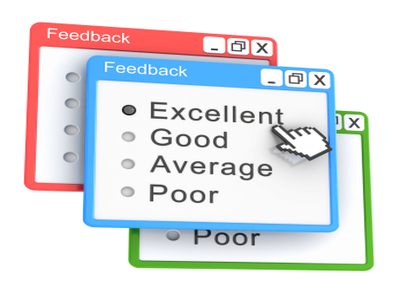 Respond to negative reviews politely and empathetically. Thank the reviewer for their feedback and promise them to fix the problem in the future. You should never remove or delete negative reviews or comments unless you have evidence of a fraudulent claim. We must stress that false claims are extremely rare. You are much better off taking customer reviews at face value. Plus, it’s an opportunity for your customer experience to improve. Take the constructive criticism and get better at delivering exceptional services. Physicians may like in-depth medical studies, but chances are that a mom looking at her Facebook news feed isn’t going have the time to read all that. When you are using social media platforms for healthcare services, people want easily understood content like pictures and videos that are engaging to the eye. For images, we recommend using clean, plain stock images or something that will easily catch the eye. Just make sure all images are appropriate and not just “click bait.” If you do use text posts, keep them brief and to the point. Same thing with commenting on a link you may be sharing. Lastly, focus your efforts where your audience is most active. This means doing the legwork in your analytics to figure out where the best ROI is on your social media platforms. You can make the best Instagram post of all time, but if your audience isn’t using the platform (or isn’t engaged) no one will see it. In order to get the most out of your social media strategies, we recommend using a reputation management platform. These can help you monitor online reviews on social media and keep track of your physician ratings. A reputation management platform keeps all of your patient feedback in one convenient place, making it easier to take control of the conversion and quickly respond to reviews. Healthcare and Social Media: You Can Win! Utilizing these social media strategies will help you win new patients and retain the ones you currently have. Remember social media isn’t meant to just ask users for something: it’s meant to build relationships through meaningful conversation. Don’t be afraid to jump in the discussion by responding to patients, especially if they leave a review. What is Natural Language Processing and How Can it Help Hospitals Improve Care? The healthcare industry relies heavily on data to find patterns, make breakthroughs, and improve the lives of all patients. However, healthcare providers deal with so much data that it is difficult to store, analyze, and synthesize all of it in meaningful and efficient ways. This is a problem that cannot be solved with human minds alone. Artificial intelligence, however, presents a promising solution for handling data analytics in the healthcare industry. Early forms of AI have already been implemented in every major industry. Though the technology is young, it is growing at an exponential rate. AI systems learn as they go, getting better and faster at analyzing data to help humans make decisions. One of the methods by which AI does this is known as Natural Language Processing, or NLP. Natural Language Processing (NLP): What is It? NLP describes the ways in which artificial intelligence systems gather and analyze raw data from human language to extract patterns, uncover meaning, and formulate responses. NLP focuses on four categories of language: syntax, semantics, discourse, and speech. In other words, NLP attempts to get to the heart of language formation and use that understanding to automate and improve human processes. NLP can be rule-based or statistical. Rule-based NLP requires that humans code a set of heuristics into the system beforehand, while statistical NLP requires that the AI learn its own set of rules based on large amounts of data. This latter method may take longer, but it tends to produce more authentic results that help advance NLP technology further. A crude example of NLP in action would be the AI robot Sophia having seemingly off-the-cuff conversations with interviewers. Experts claim that Sophia does not fully express NLP, however, as “she” likely comes with pre-programmed answers. Ideally, NLP systems would gather natural language data in real time, analyze it faster than the human brain, and come up with truly original responses, not already programmed or biased. Because the healthcare industry deals with so much data, there is perhaps no better application for NLP than health analytics. When it comes to prognosis and record-keeping, healthcare providers can be incredibly limited and inefficient. Medical professionals must sort through data on each individual patient and analyze it from every angle to help determine diagnoses and treatment solutions. Binary Fountain’s NLP technology greatly reduces the time and energy spent sifting through this data, helping providers make better decisions for their patients and giving them actionable insights for improving patient experience. By targeting patterns of language, finding keywords, comparing records, and analyzing patient data, NLP systems hone in on the most relevant information. This helps healthcare providers improve patient experience in multiple ways. First, patients spend less time in the waiting room and in the doctor’s office itself. With Natural Language Processing, doctors can easily find the best possible treatment method for a specific patient based on his/her genetic information, previous health records, and other probabilities. Natural Language Processing also proves valuable in gathering insights from patients. Healthcare providers who want to better manage their reputation or learn more about their patients can use NLP technology to find and analyze relevant data regarding patient experience and more. For example, NLP could identify reviews with phrasing like ‘waiting’ ‘long time’ or ‘after an hour’ to determine a doctor’s office was having issues with wait times. 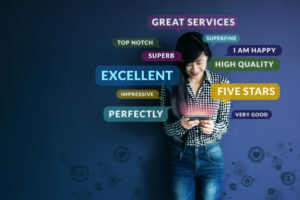 By targeting and analyzing keywords and phrases from social media, online review sites, and post-care surveys, the algorithm can report on areas that need attention. This information helps healthcare providers improve the patient experience while in the clinic and better engaging patients. Healthcare facilities would also increase patient satisfaction and reduce employee burden using NLP. 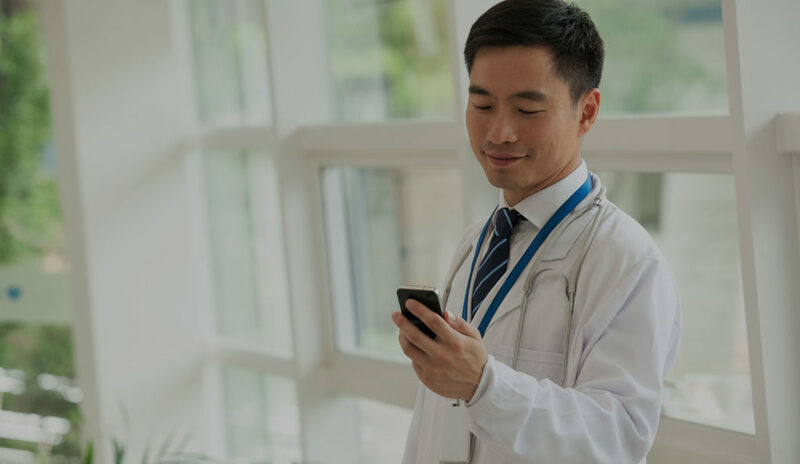 Patients could enter information and/or ask questions about their health in a text field, then, NLP systems could respond accordingly, eventually connecting the patient to an online doctor if necessary. Natural Language Processing is changing the way all industries, including healthcare, gather information, analyze it, and use that data to improve all aspects of the operation. How Can Text Messaging Grow My Business? What could your business accomplish if you could get your messaging in front of 99 percent of all your customers and get more than a third to respond? In Thursday’s webinar, “How Can Text Messaging Grow My Business?”, we discussed how these open and response rates reflect those of text messaging, and how businesses can leverage this highly-responsive mobile platform to generate goodwill and more reviews from customers. The obvious conclusion is that more people are on their smart phones now than ever before, and they’re using mobile devices to make purchasing decisions based on online reviews. Because texting is a much more immediate and personal form of communication, as opposed to email, this is a perfect tool to use for review generation. Processes can be established so that whenever your customer has an interaction with your business, they will be sent an automated text requesting a review shortly afterwards. This is also beneficial in that it ensures you will get follow-up when customers have your business at the top of their mind and they can thoughtfully provide feedback on their experience. 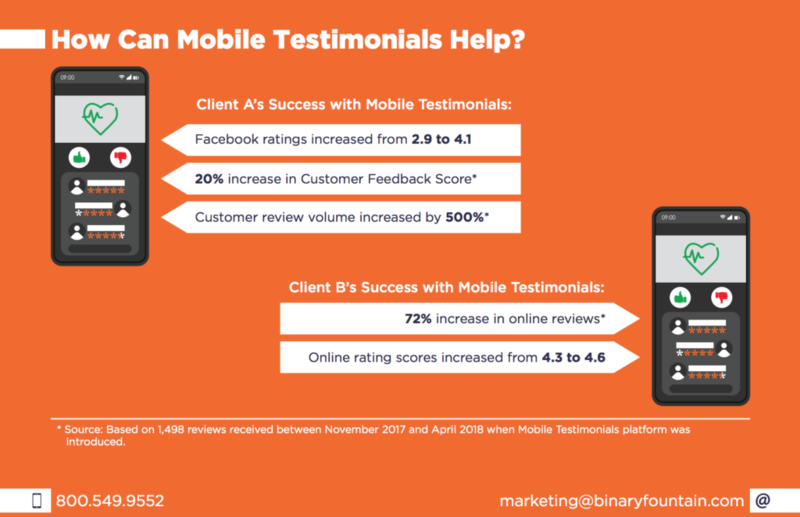 Mobile Testimonials are managed through an online dashboard, making it easy to track key performance indicators such as click rates, conversion rates, overall review ratings and more. Results can also be segmented by factors like time frame, location, and specific review sites. 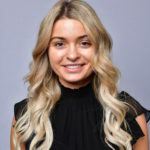 Instead of having marketing staff get tied down following up on customer reviews and other reputation management tasks, processes can be automated and directly accessed from one online portal. Targeting the popular review sites can ultimately have an impact on your bottom line. One study shows that just a one star change in a business’ rating can lead to a 5 to 9 percent difference in revenue. That’s why it is so important to manage your reputation online and control the conversation regarding your business. This is accomplished by proactively engaging with conversations on popular sites like Google and Facebook to show customers you care about your brand and the services you provide.